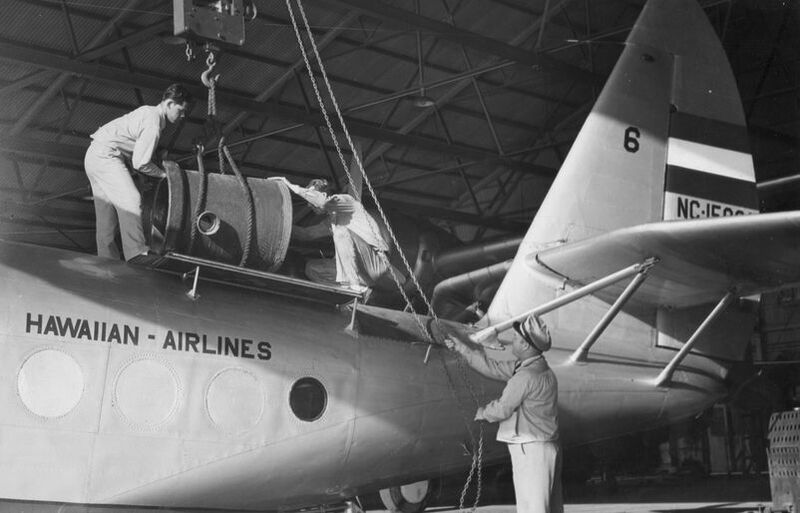 In 1942, we dedicated our fleet of three Sikorsky S-43s to carry cargo throughout Hawai‘i. 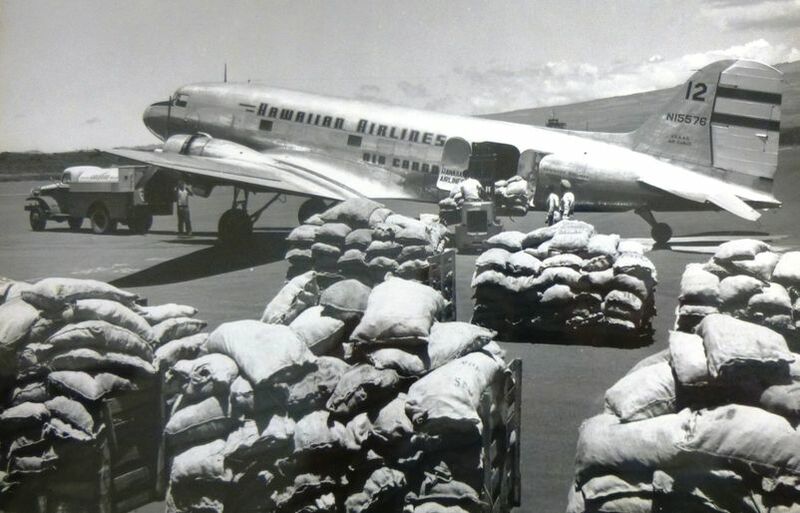 Our service continued through World War II to meet the high demand for the transport of mail, military goods and industrial equipment throughout the Islands. From 1946-1966, we operated as many as five DC-3 cargo carriers. 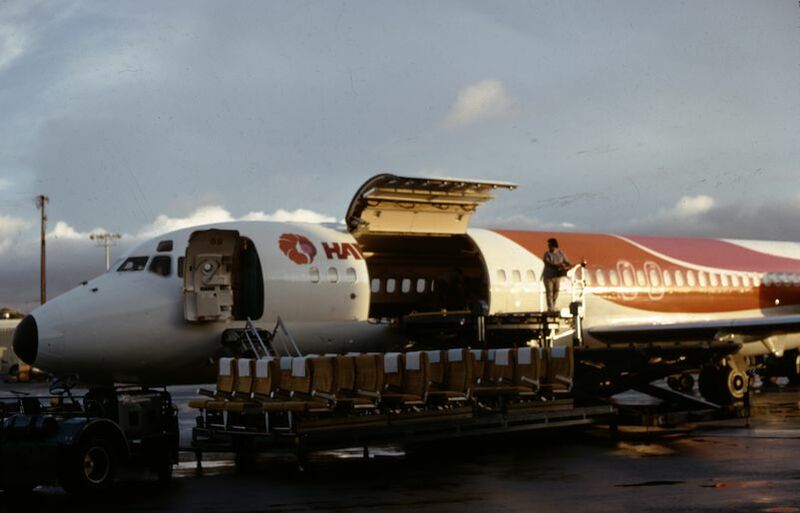 From 1957-1967, we dedicated some of our Convairs as freighters, eventually converting two to turbo-charged models. 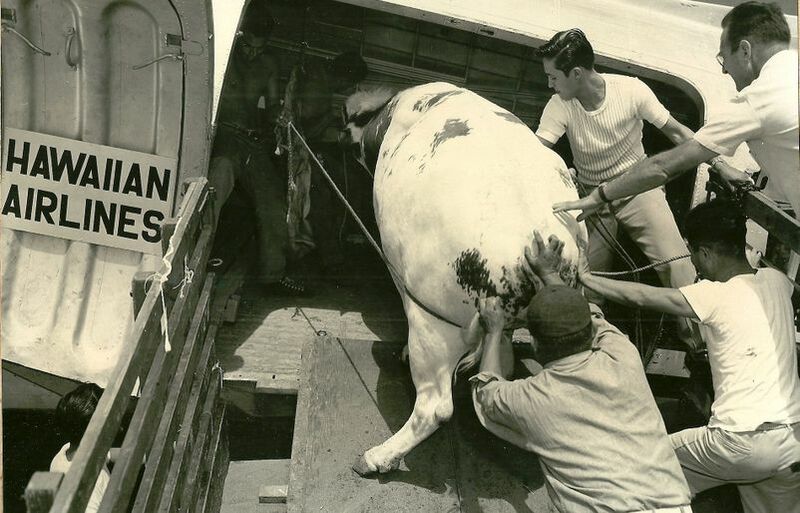 In 1959, we inked our first Military Airlift Service contract. This allowed us to support military movement across the Pacific using the DC-6. From 1973-1978, we had two DC-9-30 RC (Rapid Change) aircraft. These jets had a large door on the left side of the fuselage enabling ground crews to remove the seats facilitating cargo operations at night then converting back to passenger operations during the day. From 1976-1979, we flew freight all over North America using the Lockheed Electra L-188. From 1983-1994, we flew long-range DC-8s, which were used in a “Combi” configuration with a bulkhead amidships. The aircraft carried cargo in the forward compartment with passengers in the back half of the airplane. Fast forward to today and we operate out of our new hub, the Charles I. Elliott Maintenance and Cargo Facility, and ship freight with new jet aircraft, including the Airbus A330 (U.S. Mainland and International flights), the Airbus A321neo (U.S. West Coast flights), and the Boeing 717 (Neighbor Island only). 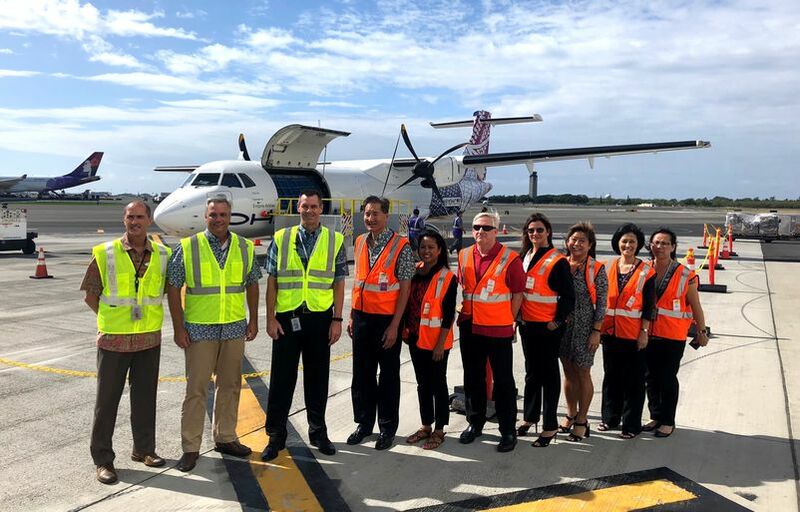 In case you missed it: In August 2018, we solidified our commitment to remain the air freighter of choice in Hawai‘i with the dedication of two ‘Ohana by Hawaiian’s ATR-72 aircraft in an all-cargo configuration. 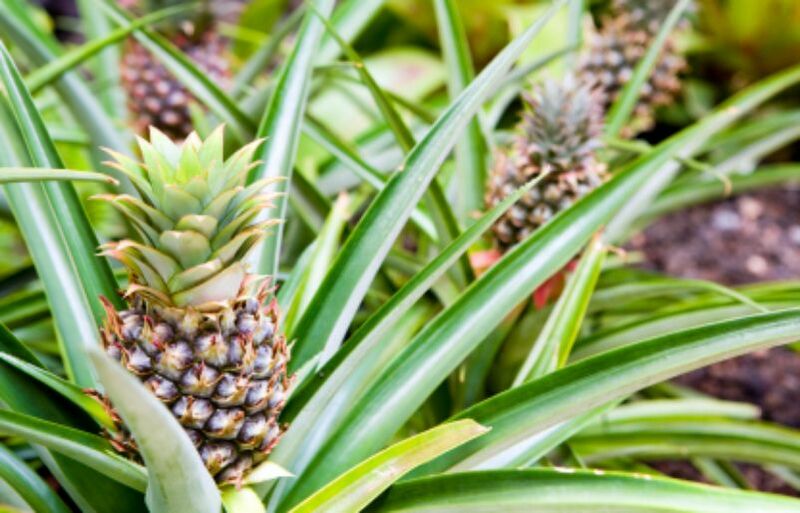 The new service offers our customers efficient nightly shipment of goods between Honolulu, Lihue on Kaua‘i and Hilo on the Island of Hawai‘i, complementing or jet cargo service and offering customers statewide well-timed connections from our domestic and international networks. 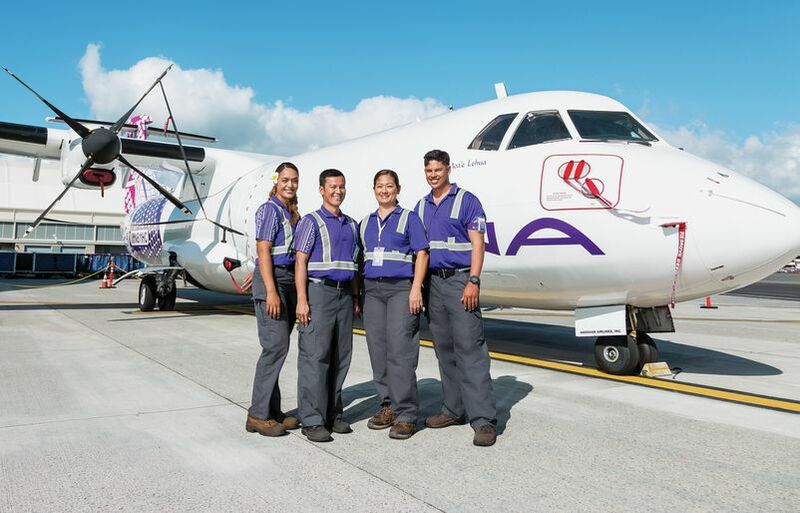 “The ATR-72s enable us to meet the cargo needs of our customers and businesses while streamlining and growing our shipping operations throughout Hawai‘i and beyond,” Ingram said when announcing the new service last summer. 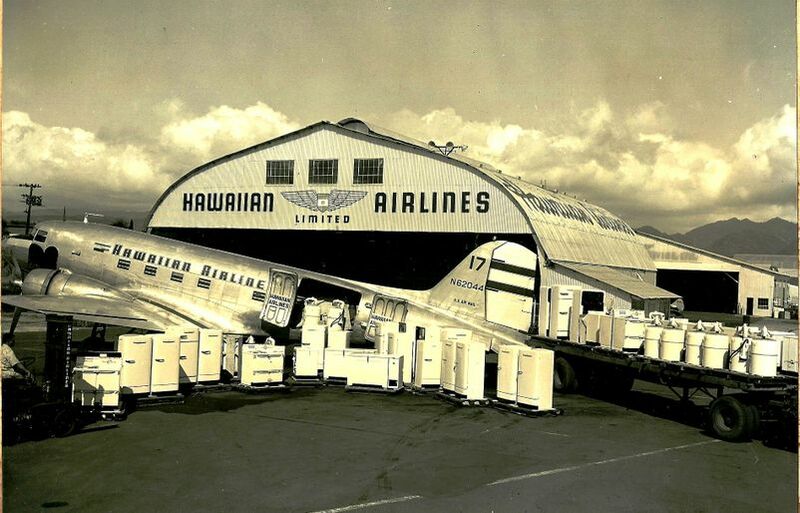 To learn more about Hawaiian Airlines Cargo, click here.